Most people are just interested in the art of catching and throwing back for recreational purpose. Everyone is welcome to share their experience with images and information as well as the best tools to use. If i may start, I personally like the old town vapor 10 kayak because it was built for the recreational fishing purpose. You may all share your opinion by commenting and sharing why you like a particular fishing accessory or tool for the recreational fishing purpose. This article is to guide but first to show what drives us to recreational fishing and hopefully guide to know the best accessories and any other valid information to help the recreational fishing community survive. We will be happy to publish anyone with a fishing exploration article. A story describing the journey from acquiring the fishing equipments, beginning the process of fishing, and the last end when the fish is caught and then thrown back. It will also be nice if those fishes are documented with pictures and tagged. If recreational fishing as a culture will survive and evolve well with more economical value, it will depend on how well we market it products. The more awareness people are to the tools, accessories and fishing materials, the more the love of it will emerge. The more people become aware of recreational fishing products, then the more this culture will survive. After all, its all about preserving our precious fishes, fishing competition as in sports, showing and guiding newbies to the best places to go fishing, and documenting them by having fun through the process. 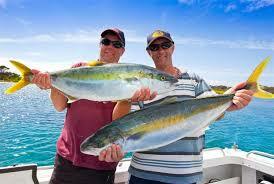 Recreational fishing creates a heart bounding love for fishes. With regards to conservationism and the practice of meditation and easing of the mind while waiting for the precious fish to come by your fishing rod. I remember how I adore the ways of lakes and fishes and how I use to run from home to the rivers and lakes only to explore , swim and join the locals to catch fishes. I became very obsessed and fond of fishes not because I enjoyed eating them but I admired and enjoyed the study of how they live in their own underworld. Their maneuvering swimming capabilities and their beautiful swerving techniques under water. Example is i read this 1987 incredible book from the publishers Simon & Schuster about the techniques of fishing and the patience of waiting for the perfect moment when the fish swallowed the bait and the joy of pulling a live moving fish towards you. I found this kind of patience a great art of work and these are some of the ideas, I will like us to share and discuss. That moment is surprisingly precious. The love of holding the fish while it flip flop it scales and opens it mouth. If you are lucky to catch one of those multi colored fishes, then you know the kind of joy am talking about. Everyone has their own opinion about the functions of recreational fishing or the purpose. But there are some fundamental values that are openly accepted. Most people like it because it eases the mind and create a mode of isolation when alone over the lakes and rivers or when lodged at a corner behind a tree or stones only to meditate your mind while you wait for the perfect fish to come by your way. Most vacations are spent at these valuable places of isolation with recreational fishing in mind. Practicing recreational fishing and not loving fishes is like marrying someone for years without loving them. A good angler knows what kind of fish he or she is pursuing and they drive to it. We practice recreational fishing because we love the idea. It all fun from buying the fishing tools, to learning the art of fishing, to starting your first fishing cycle. I called it fishing cycle because once you start, you cant stop. You will continue to do it as long as you have the capacity to do it. I recollected certain aspects of people and how they find the right time to go fishing. The question is what motivate certain people to pick up their fishing tools and go fishing. Most people are activated by the art with the following contributions. This contributions stands to be corrected. To take the mind off a problem at hand. this process is not done to ignore the problem at hand but to find other brainstorming ways through the art of fishing. It may sound weird, but when you are alone on the rivers or lakes or at a river bank fishing, the moment of waiting and the moment of catching releases so much brain ideas through the art. example: When there is a problem to solve at work and needs more calculation. At this stage , the mind has tested all possible trials and errors with no results. They then turn to go fishing. And while the big moment comes, the moment when fish attempt to move the rod while the angler site patiently on the boat or kayak. And the moment when you start rolling the reels with a captured fish. This is the moment the big idea and solution will appear to you. I call it the moment of victory. Fishing at this moment becomes a sacred entity. An addicted hobby just for the love of catching and throwing. They want to spend quality time on the lakes and rivers , catch the fresh water and smell the fresh air and experience a remote area environment. When they are fed up with the street and noisy town life with cars honking their horns. They just want to lounge themselves out of the city. Some also want to document every fish they catch, take a picture of it, probably name it and throw it back. They do this for the fun of it and also to keep a catalog and album of fishes and the time they were caught. In fact we will be much obliged to publish anyone who wants his or her kept images and documents of the fishes they have caught to be published. Just contact us. For competition. Most people just want to challenge themselves with their colleagues only to know who caught the first fish, how many fishes you can catch and throw a day , weight of the fish,color and size. This kind of motivation is much anticipated with best friends, workers and relationships. Check out some of the recreational fishing images. Perhaps the beauty and strangeness of these fishes makes us want to do it more.